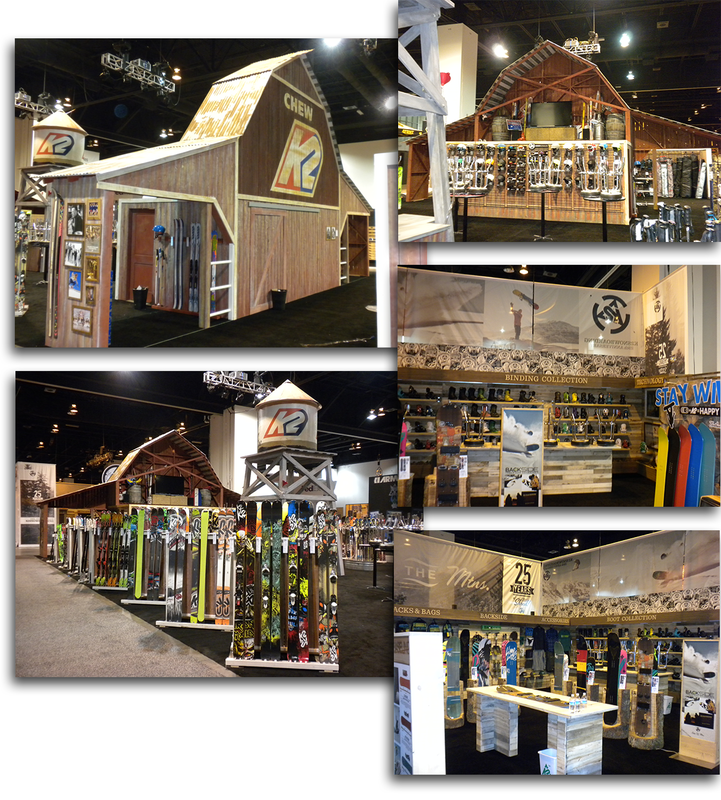 Produce an ambitious, large scale trade show booth to exemplify K2’s brand and showcase their ski, snowboard, pole, boot, and helmet products. All of the graphic pieces for K2's convention displays are printed on 3M 40C and mounted to appropriate core materials like Black or White Sentra or Wood backers. The images shown here were printed at 40" by 70" and 25.5" x 200". Having been a partner of K2’s since the 1970s, when they decided to take their trade show presence to the next level, we were eager to help. 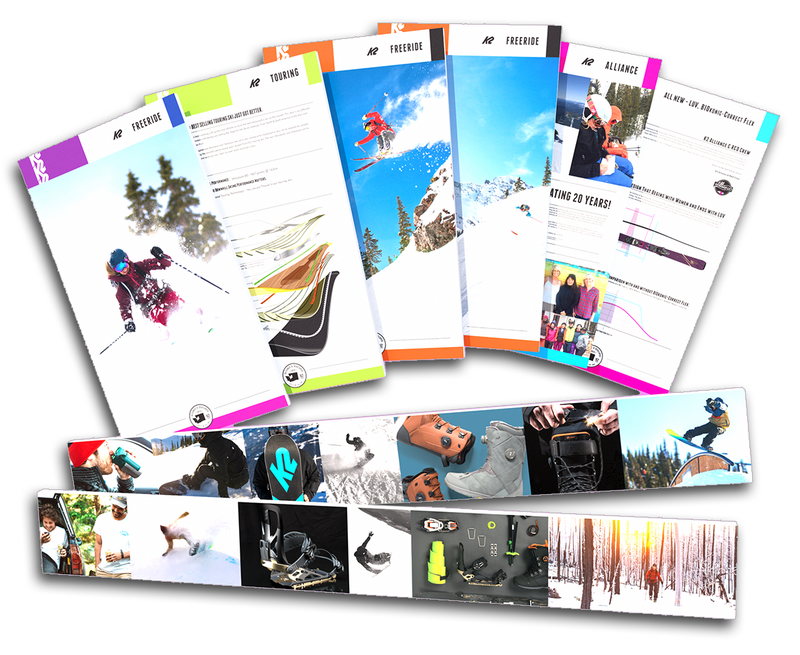 The concept was to bring the feeling of being out on the mountain with skis and snowboards to trade shows. In the end, we decided on building a barn and water tower as center pieces, with various rooms, product display walls, etc. throughout. The construct largely consists of wood, with some corrugated metal. Many of the graphics were painted onto the barn and water tower using plotter cut stencils. Additional graphics can be digitally printed as banners and displayed, as product lines shift season to season. The design accounted for the fact that the entire booth needs to be broken down, transported, and reconfigured for every show. While this was factored in, the scale is so large that professionally assisted assembly is required each time. We’re consistently pleased at the attention the booth garners, year after year.